The Hong Kong Projects Committee (HKPC) was officially formed in February 2017. The Committee aims to provide a service project platform in Hong Kong and to fill up the technical gaps in the local social services sector. The extent of beneficiaries through our service projects ranges from the local communities in need, social services organizations to individual disadvantaged people. The local projects initiated and managed by the Humanitarian Engineering Challenge have been transferred to this newly formed Committee. The Humanitarian Engineering Training Committee (HETC) was officially formed in February 2017. Its missions are to accelerate betterment in life of disadvantaged communities and provide sustainable development, through people-oriented and strength-based training approaches. These are in line with the missions of EWB-HK. The Overseas Projects Committee (OPC) was officially formed in January 2018. The Committee aims to provide a service project platform in overseas and to fill up the technical gaps in the social services sector and provide direct technical supports to beneficiaries. YMG Committee was inaugurated on 21 October 2011. The first YMG was formed by students from the University of Hong Kong (HKU) and fresh graduates from the City University of Hong Kong (CityU). The provisional student chapter of the Hong Kong University of Science and Technology (HKUST) was formed in April 2013. Young Members Group (YMG) is a platform to gather young persons and students to organize activities in line with our missions. In these few years, YMG has been successfully developed and completed several self-financed engineering-based service trips in the Mainland China and Cambodia. There are 2 major teams in YMG, which are (i) YMG Training Team, (ii) Student Chapters. Several workshops, training sessions and team building camps were organized by YMG in 2016-17 for both young members and students. YMG is also responsible for developing and mentoring student chapters, in which students are coming from several local universities in Hong Kong. We currently have formal / provisional chapters in The University of Hong Kong (HKU), The Hong Kong University of Science and Technology (HKUST) and The Hong Kong Polytechnic University (HKPolyU). Student members are able to organize activities through student chapters, or participate in projects and activities organized by EWB-HK. Click on the image to check on the latest activities of EWB-HK on Facebook. 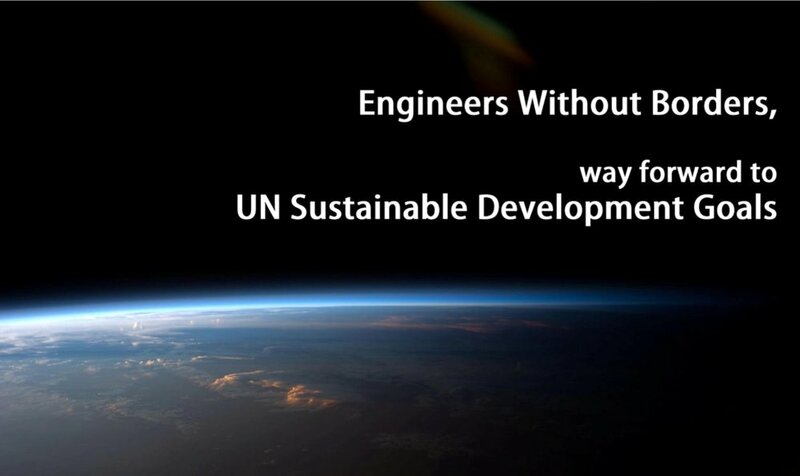 This year’s Global Forum was all about the development of engineers and what we, as the Engineers Without Borders movement, are doing about it. There were 48 individuals from 18 different countries who ensured that we had a rich, varied and global discussion about how to ensure that engineers are global in their mind-set and reach. The conference was focused on the importance of working collaboratively and there were numerous opportunities for open discussion amongst individuals and groups.